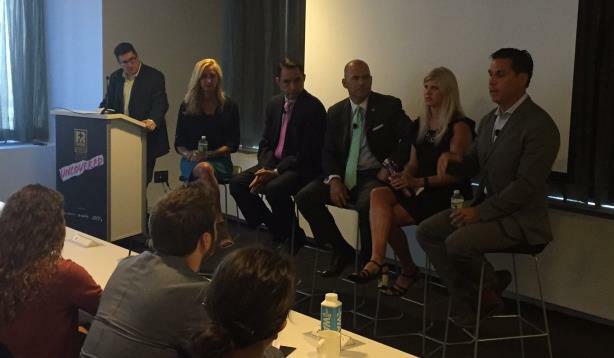 A panel of former judges gathered on Thursday morning in New York at the PRWeek Uncovered event. NEW YORK: PRWeek Awards 2018 chair of judges Colin McConnell had some words of encouragement for any on-the-fence nominators at the PRWeek Uncovered event on Thursday morning. "Winning a PRWeek Award matters a great deal, particularly now," said the SVP and chief brand officer at Prudential Financial. "The PR industry itself needs a little PR." A panel of jurors from years prior discussed the importance of tailoring a message to drive progress, profitability, and growth. The group included Carmichael Lynch Relate president Julie Batliner; Paul Gennaro, SVP and chief communications officer at Voya; Ray Kerins, SVP and head of communications and government relations at Bayer; IPR president Tina McCorkindale; and MWWPR president Bret Werner. Panelists also emphasized the importance of a winning entry. McCorkindale encouraged entrants to include "the bookends of a campaign: a strong primary and secondary research component, as well as an evaluation" so jurors can fully understand its objectives and accomplishments. Others strongly advised entrants to use video, which gives jurors a more holistic view of a campaign. "We’re only going off what we’re reading; video fills the gaps," said Kerins. Another tip: deeper insights and analytics are also important. "Show me why you went there and how it influenced the objective," said Werner. Go here to visit the PRWeek Awards website.